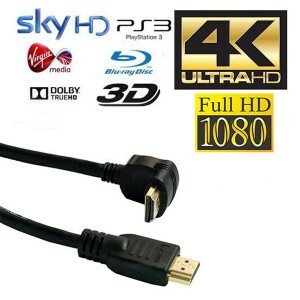 Top quality HDMI cable for True High Definition, 1080p digital picture and audio. HDMI is the new generation of digital cable that combines both audio and video into a single digital interface. With higher level transmit frequency, it is able to transmit high quality multi-channel audio and can carry all standard and high-definition consumer electronics video formats. Commonly used to connect DVD, Set Top Box, Amplifier, HDTV, Projector, Plasma, LCD, Camcorder, Computer and any other device that supports HDMI. This cable is HDMI APPROVED which means that it conforms to the high quality standards and performance set out by HDMI Licensing USA ... and nothing BEATS THAT!! It has been tested to give you only the best quality in digital entertainment.